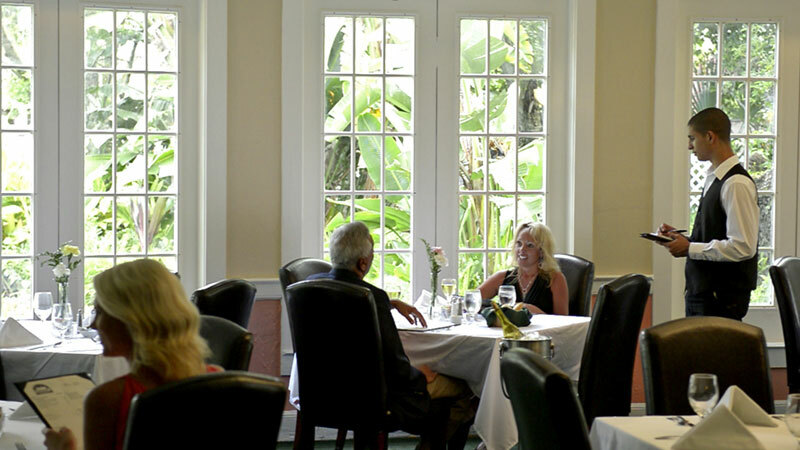 Florida’s Historic Lakeside Inn features both The Beauclaire Dining Room as a casual, yet elegant indoor option, or The Veranda, with its beautiful lake views. 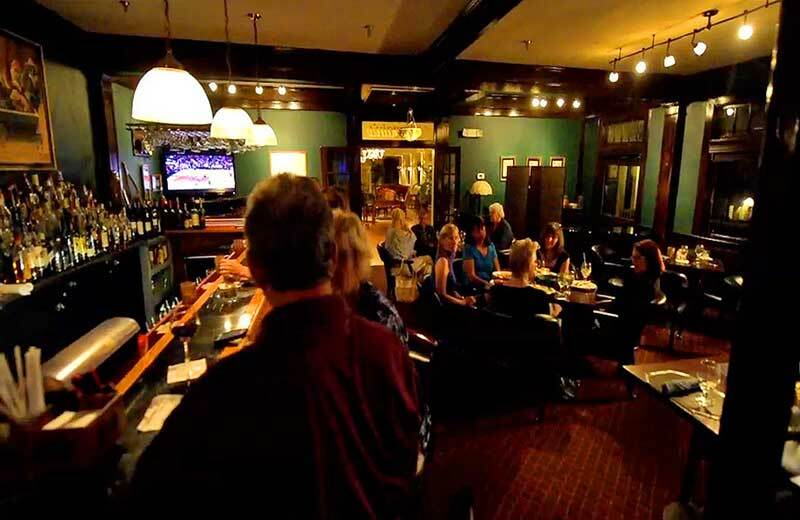 Tremain’s Tavern features a traditional club like atmosphere, light fare and nightly live entertainment. The Beauclaire Restaurant with its crescent of large windows features picturesque garden views and gracious dining experience in elegant surroundings. 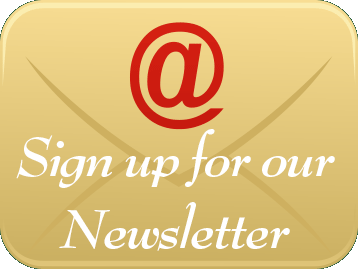 Open for breakfast, lunh and dinner, featuring menus with a memorable Southern Flair. Dining on the Veranda is a casual and relaxing experience whether for breakfast, or over a candle light dinner. 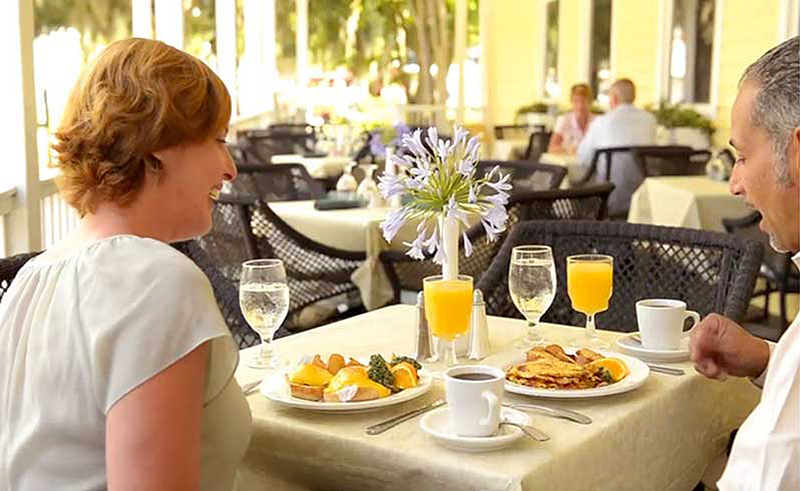 The Veranda offers the only lake front dining option available in Mount Dora, so it is a popular spot for both day and overnight guests of the Inn. Spectacular sunsets, people watching and the sights and sounds of life at Lakeside Inn highlight every meal. The dark woodwork and atmosphere of a traditional fishing club make Tremain’s Tavern the perfect retreat for a refreshing afternoon cocktail or casual meal. Nightly live entertainment and the light of the fireplace on cool winter evenings only add to the ambiance of this intimate and comfortable space. 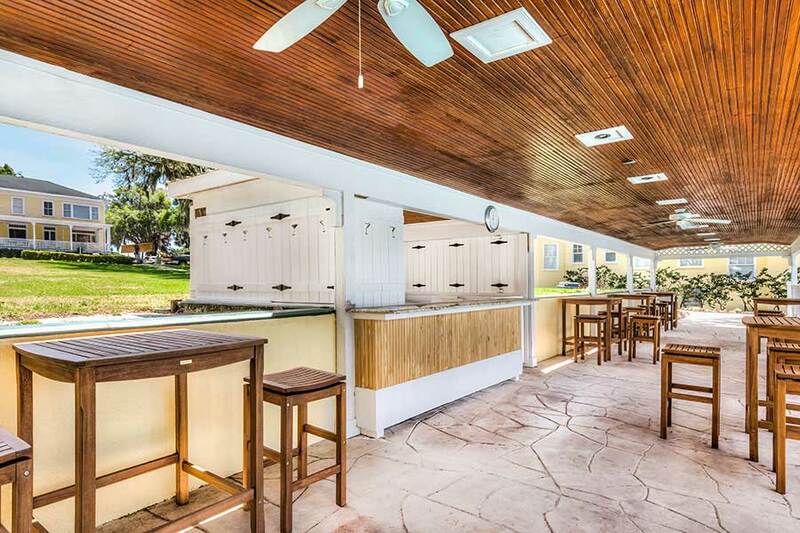 Open seasonally, our Lakeside Pool Bar is convenient for anyone enjoying a relaxing afternoon poolside or in one of the many Adirondack chairs scattered beneath the large shady oaks near the lake shore.